MOSCOW. March 14 (Interfax) – Russia should seek to mitigate the Western sanctions by synchronizing the efforts of the ministries of foreign affairs, the interior, and economic development, and other agencies toward a better investment climate, Audit Chamber Chairman Alexei Kudrin said. “We need a friendly global environment, we need to enter these [foreign] markets and operate in various jurisdictions, and our companies need to be seen as effective businesses which operate on the basis of clear and transparent rules,” Kudrin said at the Russian Business Week. These goals “are currently not being achieved fully due to global geopolitical disagreements and sanctions,” Kudrin said. “Russia should try to reduce this factor and to mitigate political disagreements and sanctions by way of talks and other means,” he said. 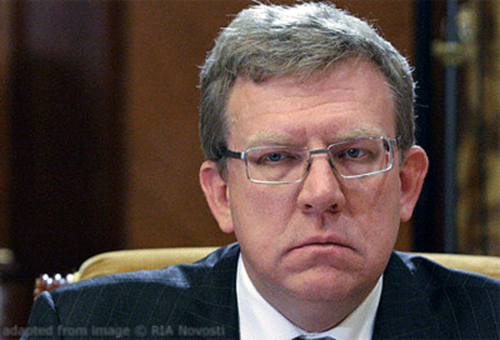 The sides “have to meet each other halfway,” Kudrin added. Russia can attain average global growth rates only by consolidating the efforts of all its ministries and agencies, Kudrin said. “All ministries, agencies, and government institutes need to be working toward this end,” he said. “Nothing will be accomplished as long as the law enforcement system sticks to its plan, international institutions and the Foreign Ministry stick to theirs, and the Economic Development Ministry tries to raise the economic growth rates to the global average,” Kudrin said. “They have to act as a single team, and everyone needs to be pursuing the same objective,” he said.